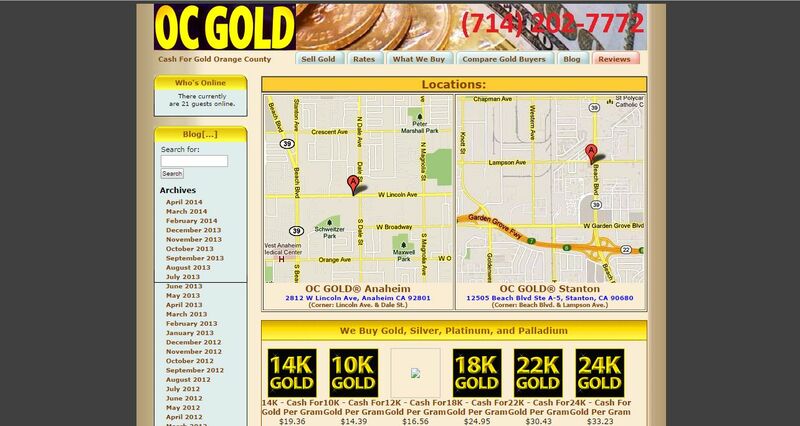 OC Gold address, phone, website, and more. 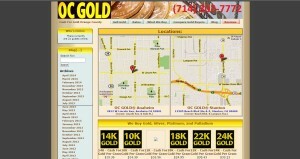 We are the original Orange County Gold Company, OC Gold. We set the highest standard in customer service and maximum cash for gold buyer prices to ensure that the public shall receive the best return for their jewelries and coins. Our business motto is honesty and fairness. We guarantee to pay the highest for gold, silver, platinum, palladium, and diamond.